You’re the boss. You’ve got all the digital answers. You KNOW what the social media secret sauce is…the perfect strategy to get your restaurant to the next level. But, how strong is your strategy if your employees couldn't care less? The millennial generation who are working at your restaurant know what they want when it comes to food and they want to tell their friends about it. So why don’t you simply sit back and let them do the work? For them posting to social media sites isn’t work, it’s simply…being. >> Have you tried it all? Learn 10 things you can cut from your restaurant marketing. Millennials are tech savvy and food savvy and they are ready to post about food they love and have discovered on their favorite social media channels. And they will do it 24/7 when you have long gone to bed. Just think about waking up to find that your maître d', Charlotte, responded within seconds on Twitter when a prospect asked about the appetizers. Or your waiter, Jordan, took a quick pic of some happy hour customers and posted it to Instagram with the caption…”My job is making people happy”. 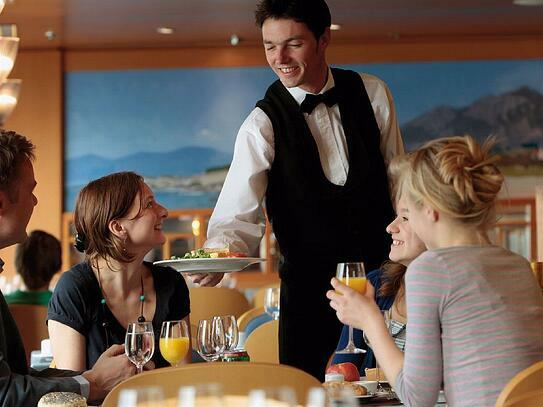 Embrace the new rules of social media restaurant marketing. You must hand over the keys to the next generation and let them take you down the road to soaring revenue. Let THEM blog about your newest entrées. Let THEM post anytime anywhere about anything that excites them. After all, you’ve inspired them! How cool is it to work for a company that respects their intelligence and trusts their judgement. Information has been democratized. The horse has left the barn and it ain’t coming back in. You can either ride it to riches or lament a lost horse. If you’re a marketing manager worth the money you’re being paid, you’ll saddle up and ride off into glory. And you’ll do it by empowering others to seek glory for themselves. Now that’s a secret sauce! >> Are you overwhelmed by your marketing strategies? Learn 10 things you can cut from your marketing now!